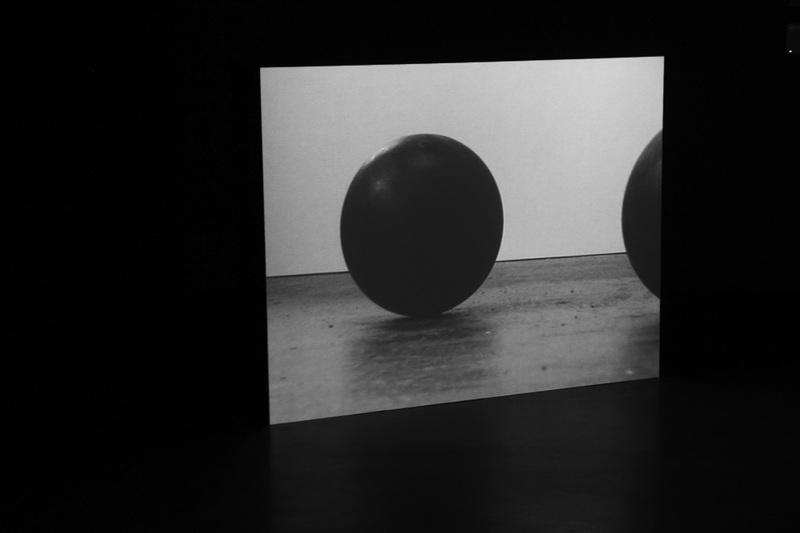 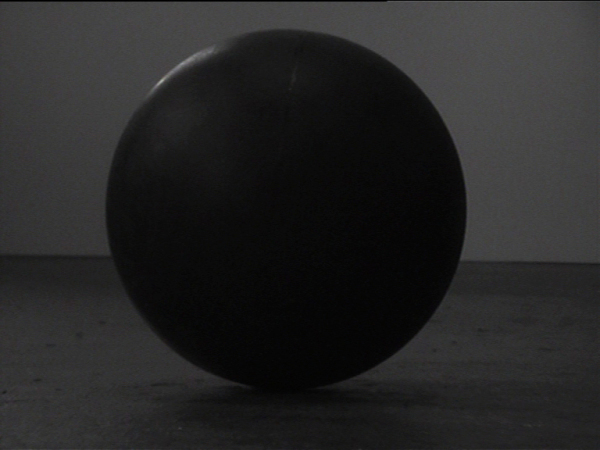 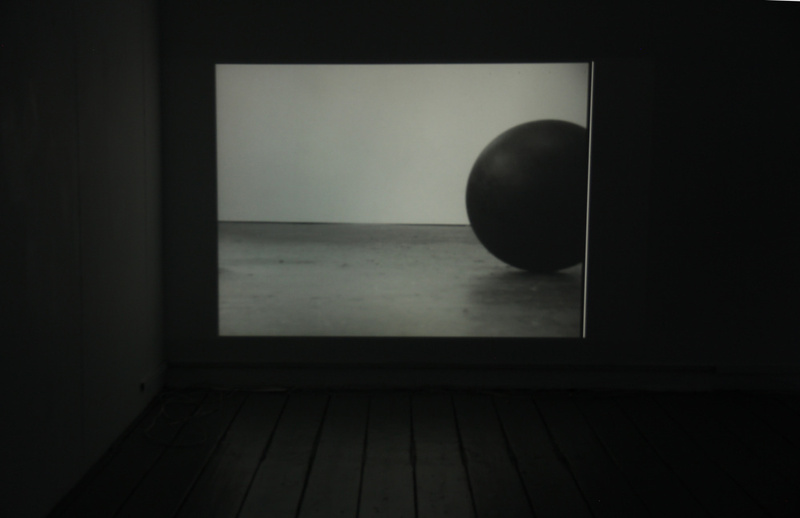 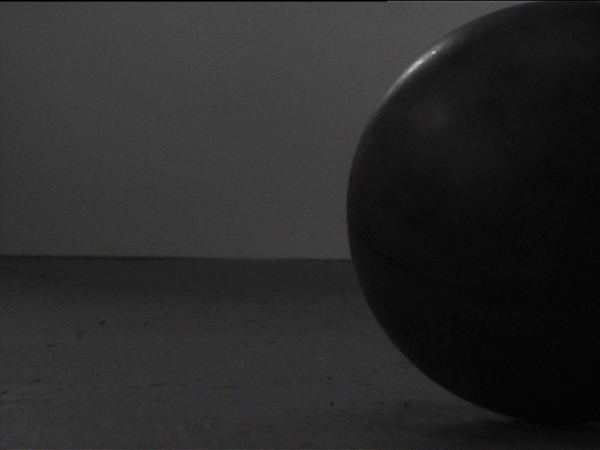 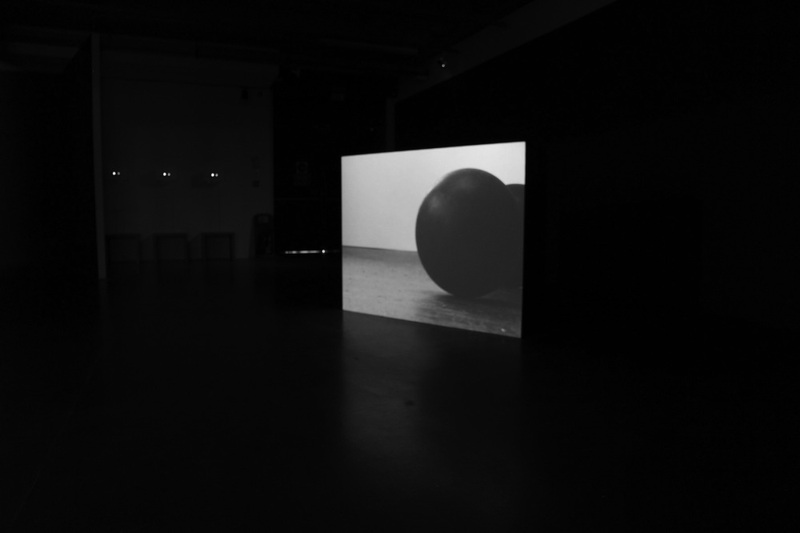 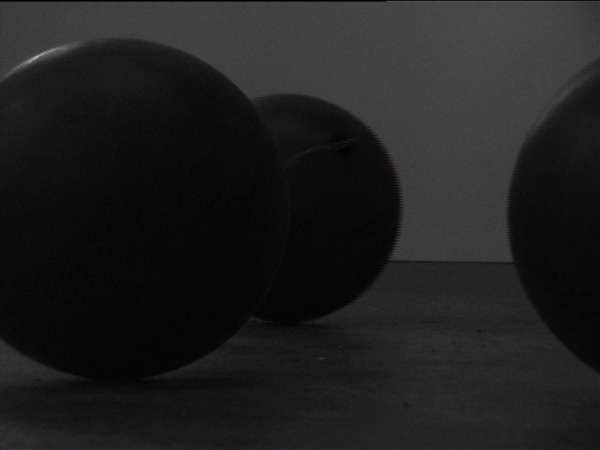 Matt black spheres of a non specific scale roll and interact in a non specific location. 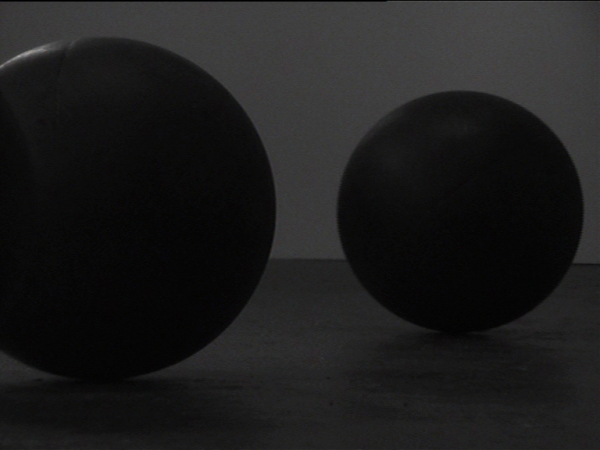 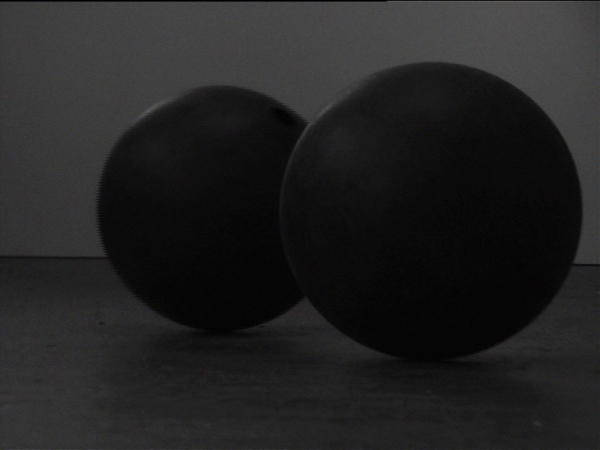 Silences are puntuated by the occasional sounds of rolling spheres. 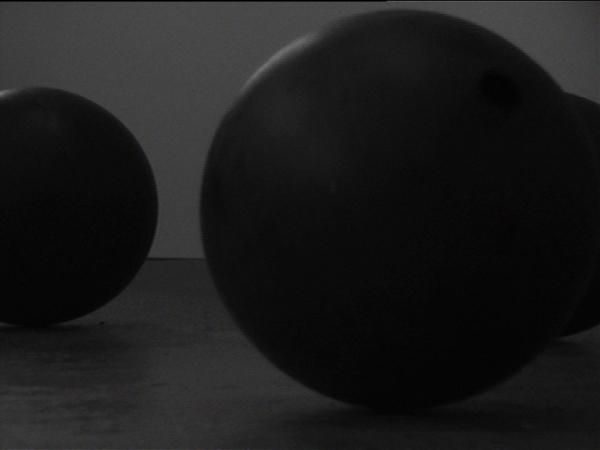 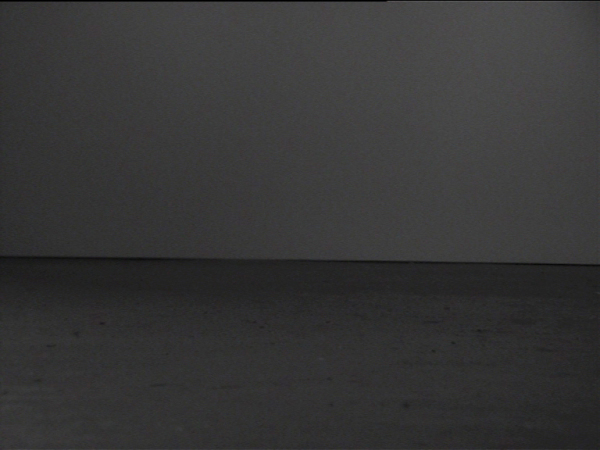 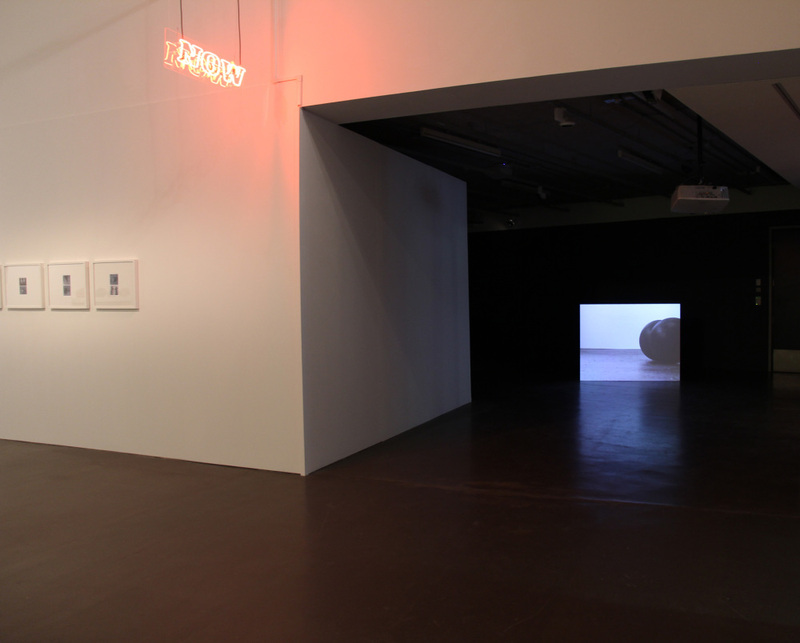 Black Dough is shot using the optics of a 1990s Hi8 video camera recording to HDV tape.